Truth, right? The beauty of this beautiful world, especially America – is that we can be whatever we want. This is something that we teach our kids every day beginning when they are just a toddler and we ask them what they want to be when they grow up. But, I think it’s much more important to teach children to be kind. 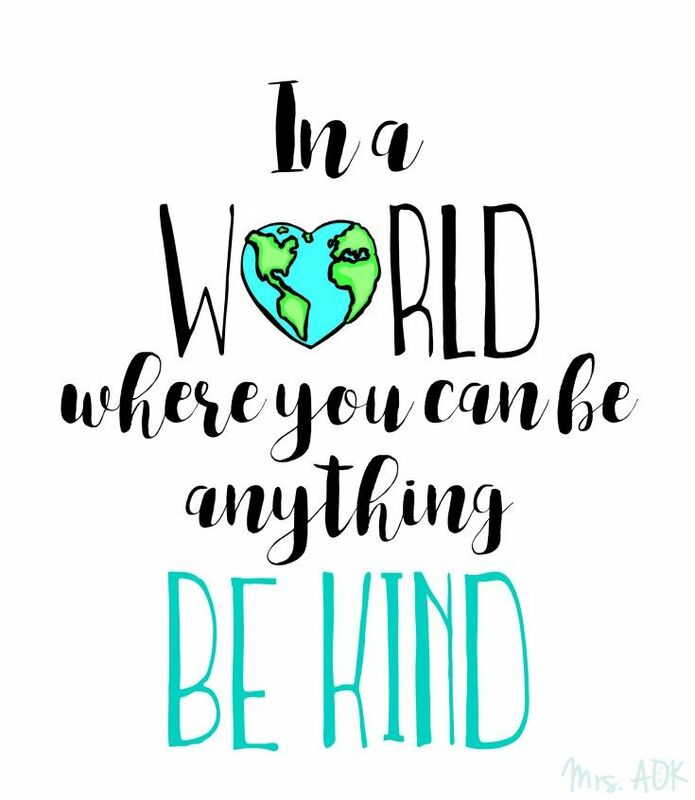 If every parent, grandparent or other caregiver, each teacher, including school teachers, administrators, tutors and Sunday school teachers emphasized every day the importance of kindness the world would truly be a better place. I know that most teachers already do this, especially those who teach in elementary schools. Helping students learn how to get along is a big part of a teacher’s job and is in my opinion just as important as teaching them math or reading. I know that moral lessons and the like should generally be taught in the home but for one reason or another many times they are not. With the release of the movie Wonder, more attention is being paid to acts of kindness, especially in our schools. The schools in my city get it. Everyone knows that Madison city has a great reputation as having wonderful schools, mostly because we consistently have high scores. But, churning out National Merit Scholars or ranking in the top 10 school systems in the state is not the only reason I am proud to live and work in our schools. It is because of the random acts of kindness I see the kids doing so often. It is the teachers commitment to build character in our children. I have two examples for you at two schools that I have the privilege of working in. At Madison Elementary, a 6th grade teacher read her students a book and then asked them to reflect on the book and write down something that they took away from it. Here are their answers. After reading the book, Wonder. Our 5th grade students created lessons and activities to teach to every class-PreK-6th grade. Last Thursday our entire school participated in a variety of 30 minute lessons led by our 5th grade students. It was awesome to see our school focusing on the same concept at the same time. 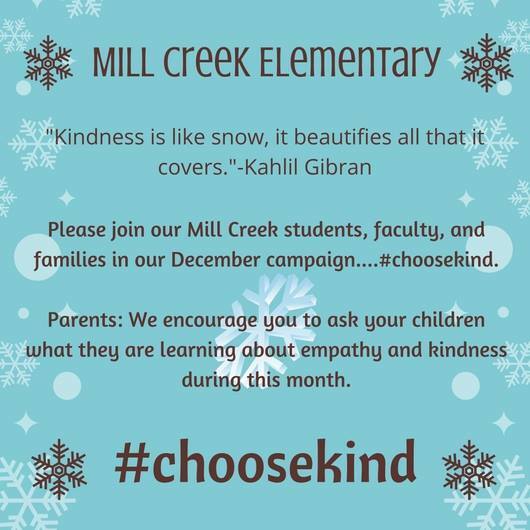 Click here to watch the Mill Creek Choose Kind video.